TYMCO provides powerful and efficient solutions for street sweeping, parking lot sweeping and airport sweeping applications. All of our models improve the appearance of these surfaces and have a positive impact on the environment. 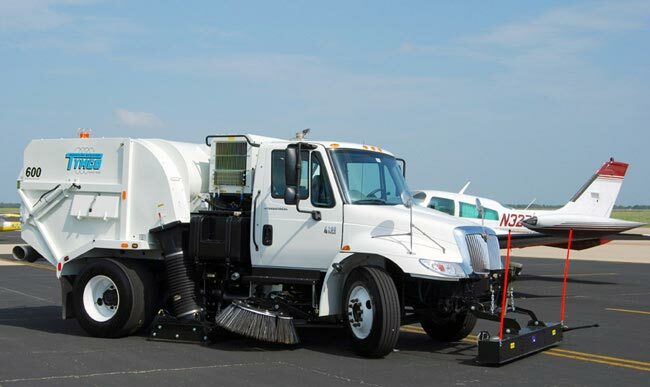 TYMCO street sweepers, parking lot sweepers, and airport runway sweepers, are powerful, easily maneuverable, extremely reliable, and are equipped with our cutting edge technologies. All of our models have changed the sweeping industry and will deliver incredible results on even the toughest applications. Browse our current selection of factory owned inventory. Units listed here may be considered New/Stock, Factory Demonstrator/Demo, Factory Remanufactured/Refurbished or Pre-Owned/Used Sweepers. All units listed here are offered by TYMCO through its dealer organization.